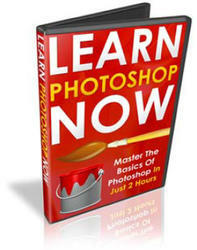 2 Choose Edit > Transform > Scale, Rotate, Skew, Distort, or Perspective. Note: (Photoshop) If you are transforming a shape or entire path, the Transform menu becomes the Transform Path menu. If you are transforming multiple path segments (but not the entire path), the Transform menu becomes the Transform Points menu. • If you chose Scale, drag a handle on the bounding box. Press Shift as you drag a corner handle to scale proportionately. When positioned over a handle, the pointer becomes a double arrow. • If you chose Rotate, move the pointer outside of the bounding border (it becomes a curved, two-sided arrow), and then drag. Press Shift to constrain the rotation to 15° increments. • If you chose Skew, drag a side handle to slant the bounding box. • If you chose Distort, drag a corner handle to stretch the bounding box. 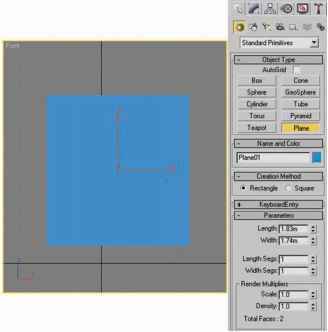 • If you chose Perspective, drag a corner handle to apply perspective to the bounding box. • For all types of transformations, enter a value in the options bar. For example, to rotate an item, specify degrees in the rotation text box. 5 If desired, switch to a different type of transformation by selecting a command from the Edit > Transform submenu. 9 When transforming a bitmap image (versus a shape or path), it becomes slightly less sharp each time you commit a transformation; therefore, performing multiple commands before applying the cumulative transformation is preferable to applying each transformation separately. • Press Enter (Windows) or Return (Mac OS); click the Commit button y in the options bar; or double-click inside the transformation marquee. • Rotate 90° CW to rotate clockwise by a quarter-turn. • Rotate 90° CCW to rotate counterclockwise by a quarter-turn.